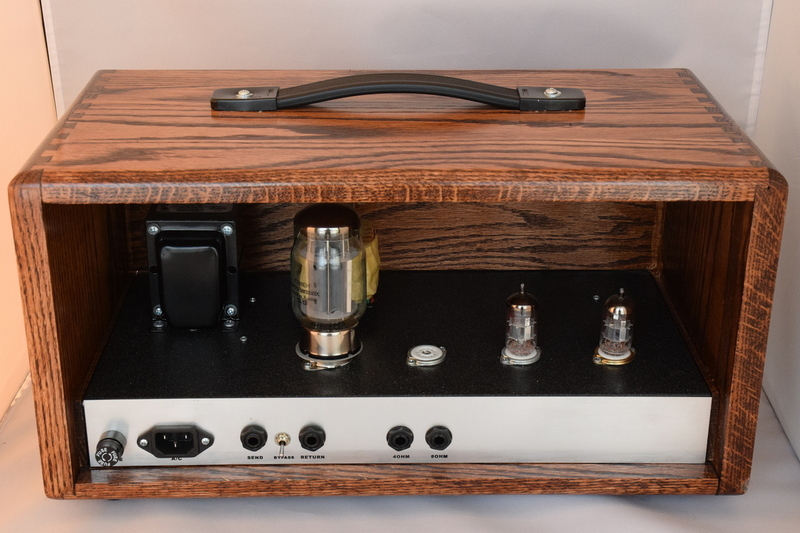 This amp might have a funny name, but there is no funny business about this amp. 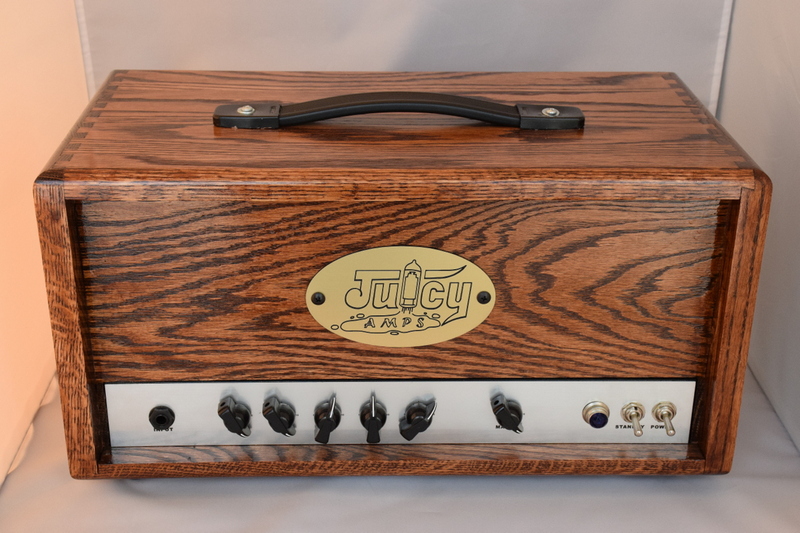 The Orange Juice amp is a 10 watt single ended Class A amp the is designed for the mor moderate player not looking for over the top gain like it big brother the Juggernaut. With a gain and drive control, this little amp can cleans up quite nicely with a rich and fully clean tone. When the drive and gain controls are cranked up, this little guy can create some good overdrive tones with great touch sensitivity when controls are set around 50%. Standard three band EQ and master volume rounds out the front controls. The cabinet is made from dovetailed solid oak with a polyurathane coating. The Orange Juice also is equiped with a fully bypassable effects loop for inserting external effects. 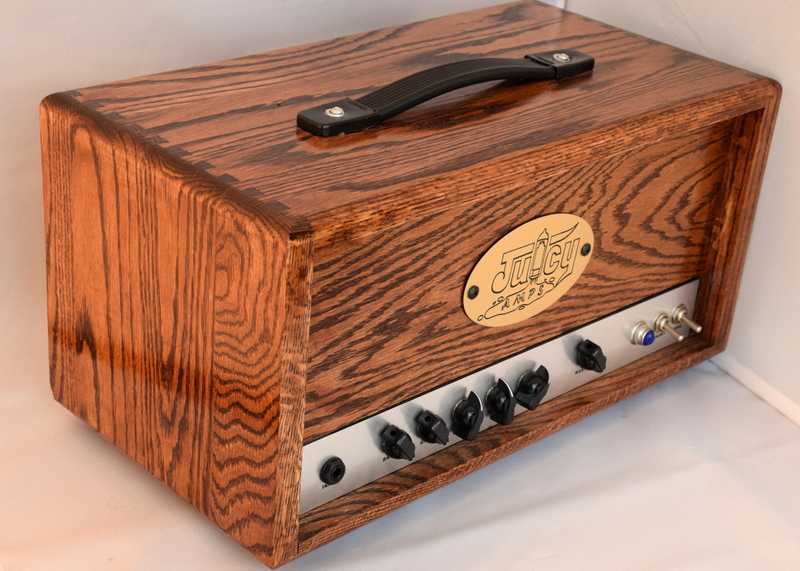 Definately a well rounded amp for blues, country, and Rock alike. Many options are available.